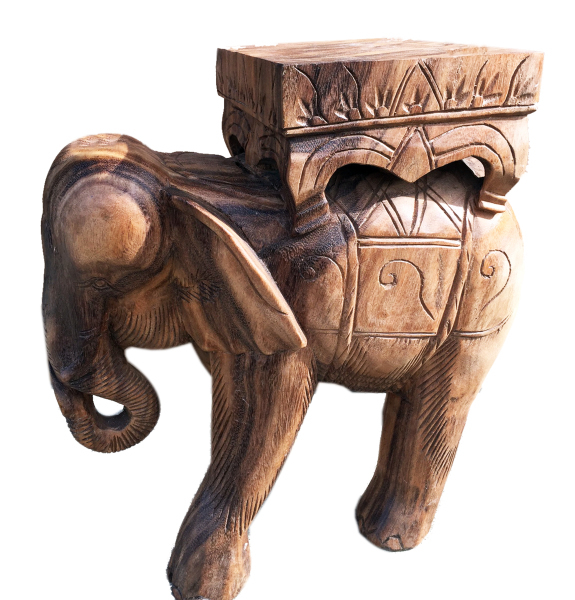 The hand carved elephant stand is a nice eclectic accent that will add to any setting. 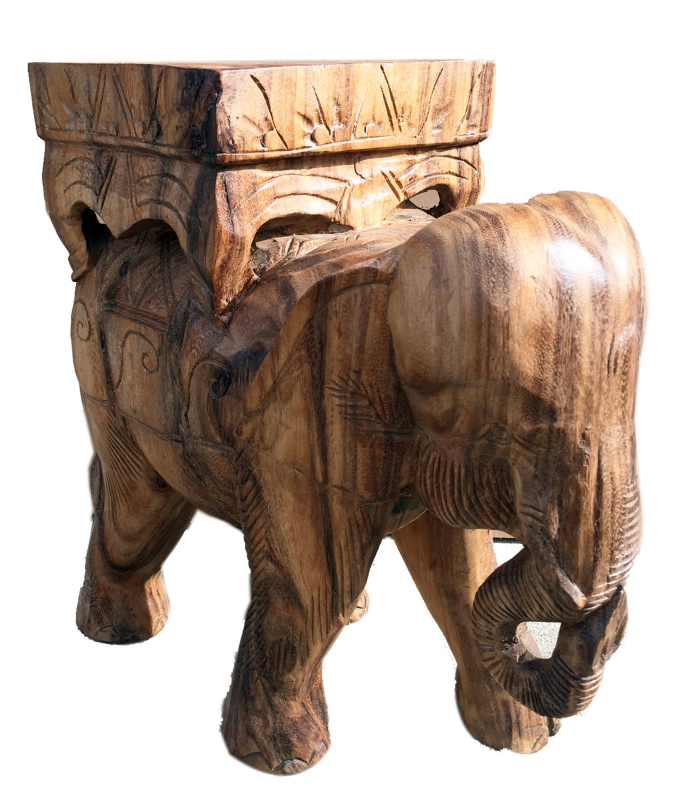 It's skillfully hand carved from a single piece of tropical wood. It's measures 18" long, 9" wide and 19" tall, weighing approximately 38 lbs. 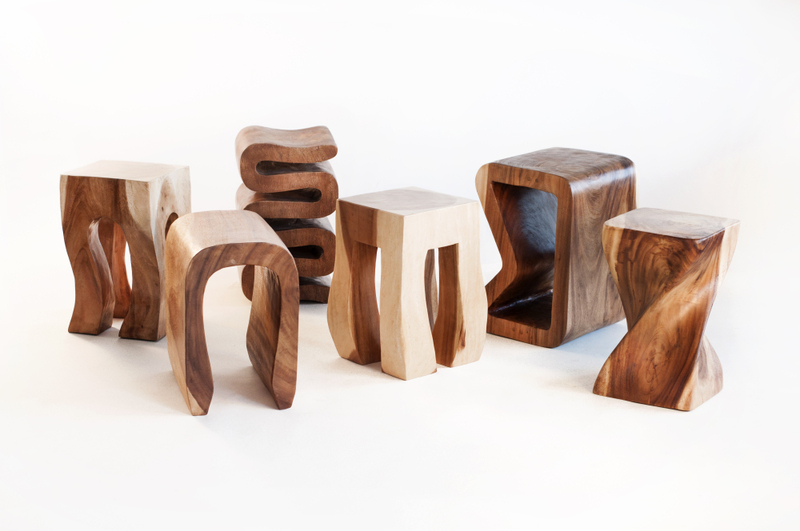 Please note that the wood color and character vary piece to piece.